Facebook is still a great place to watch videos, because Facebook users share the videos they create with their friends and families. 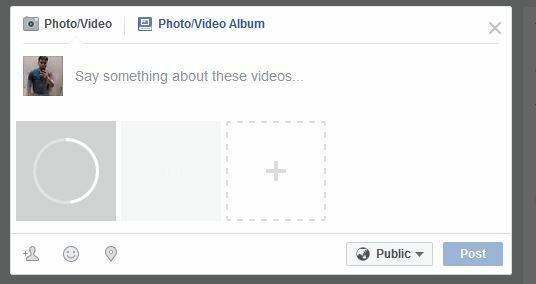 Adding a screen recording video on Facebook is not that difficult and people can get the work done with simple clicks. This article will introduce how to add screen recording videos on Facebook with different methods. Check it out. iTube Studio is a great video recorder which enables you to record screen with simple clicks. 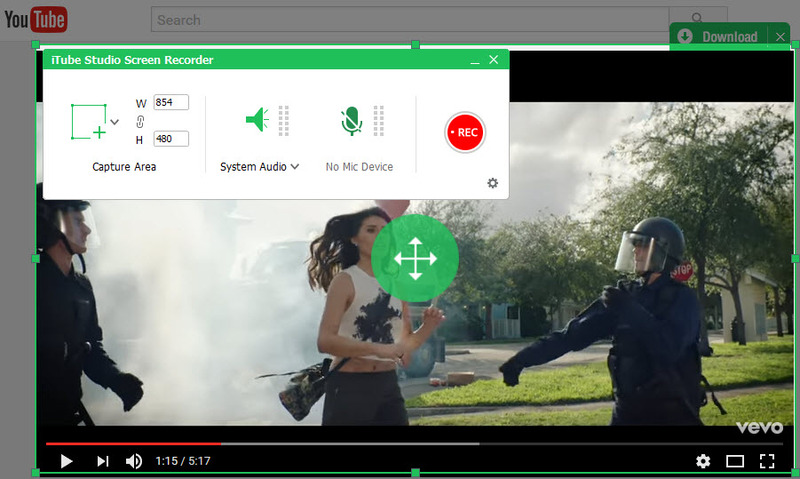 This program enables you to record fullscreen video on your computer with high quality, and it also allows you to customize the area you want for the recording process. If you want to record screen and add it on Facebook, iTube Studio will be your best choice. This part will introduce how to record screen with iTube Studio with detailed steps. At first, let's take a look at the key features of iTube Studio to make a better understanding of this program. iTube Studio enables you to record fullscreen video with high quality. iTube Studio allows you to download videos from more than 10,000 video sharing sites. iTube Studio allows you to only record the area you need with customizable frame. 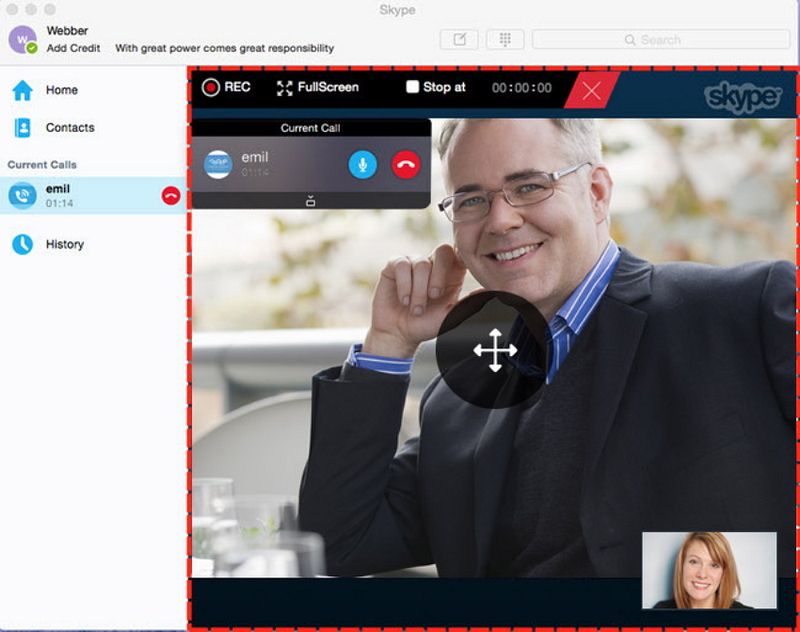 iTube Studio enables you to record video calls with ease. iTube Studio helps you to download and record videos to 150+ video/audio formats. iTube Studio allows you to download YouTube to MP3 with one click. iTube Studio helps you to download multiple videos as a batch. iTube Studio helps you to record 1080p videos with no quality loss. Step 1. Download and install iTube Studio on your computer, then start it. 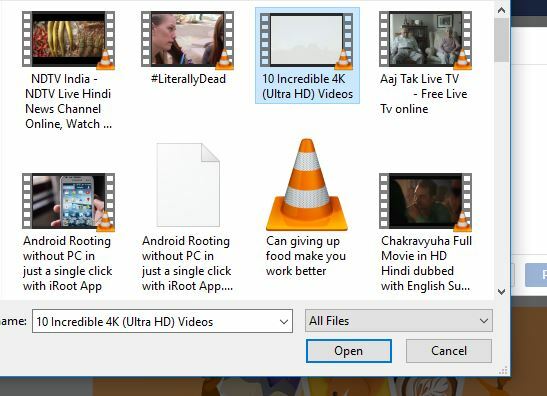 The program will display the main interface of video downloading. You'll need to choose the Record section in the left sidebar. Step 2. You'll see a frame after clicking the Record button. Choose Fullscreen option at the top or adjust the frame to make it match the area you want to record the video. Step 3. Click the REC button at the upper left corner of the screen to start recording. When the video finishes playing, you can press the ESC key on your keyboard to stop recording. Step 4. 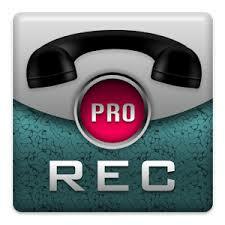 When the recording process is done, you are able to find the recorded video in Finished category. 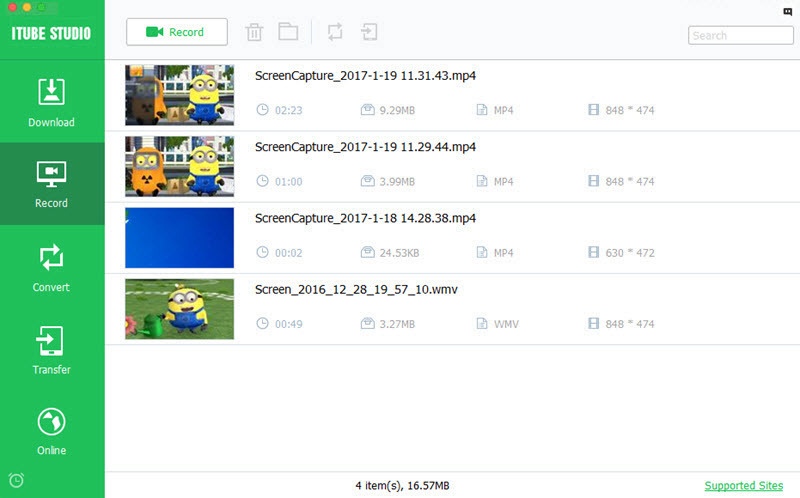 If you want to locate the recorded video on your computer, you can right-click the video and choose Open File Location. 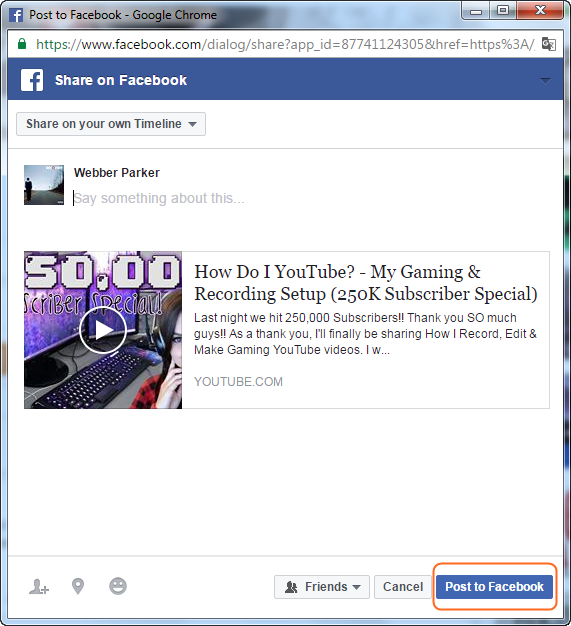 When you have found the video in your computer, you are able to add screen recording video on Facebook easily. The following part will show you how to do that in detail. It is pretty easy to add screen recording video on Facebook, and you can get the work done with simple clicks. Generally speaking, if you want to upload a large video to Facebook, you'll have to spend a while getting the work done, and you should ensure the good Internet connection during the uploading process. The following guide will show you how to add screen recording video on Facebook with detailed steps. Step 1. Log in Facebook with your account, and you'll find the What's in your mind blank. Now click the Photo/Video button at the bottom of the blank. Step 2. After clicking the button, you'll see a pop-up dialog. 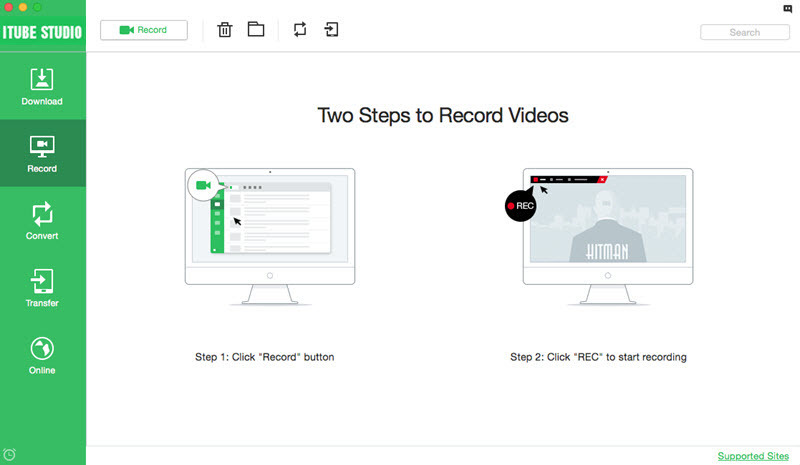 Select the video you need from the dialog, and click Open. Step 3. 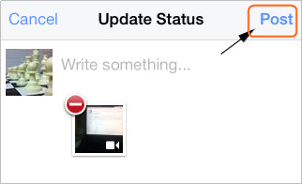 Facebook will start uploading the video after you clicked the Open button. After completing uploading process of videos click on “Post” button. Now your video is successfully posted on Facebook. The sharing feature of Facebook enables you to share videos with your friends and families on Facebook easily. At times, you will upload your screen recording videos to YouTube channel instead of posting them to Facebook directly, and at this moment, you can share the YouTube video URL on Facebook without posting the video again. This part will show you how to share a screen recording video URL on Facebook in detail. Step 1. Pay a visit to your YouTube channel, and find the screen recording video you want to share. 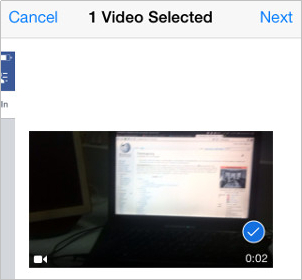 Then you'll find the Share option below the name of the video. Step 2. Now click the Share button and choose Facebook in the drop-down menu. Then you'll see a new window pop-up open. Now click the Post button to start sharing your screen recording video URL on Facebook. Nowadays,probably you are using Facebook app on their iPhone or Android device, and you can add screen recording videos on Facebook with your mobile device easily. You are allowed to add a screen recording video from your local storage to Facebook, or shoot a video with your camera and upload it to Facebook directly. This part will show you how to add screen recording video on Facebook with your mobile devices in detail. Step 1. First of all, you'll need to install the mobile version of Facebook on your computer. Then go to your Photos app and find the recorded video you want to share. Step 2. Tap the Share option at the bottom of the video, and you'll see Facebook icon. Tap the Facebook icon to share. Step 3. Say something about the video, and tap the Post button at the upper right corner of the screen. Then you'll be able to share the video to Facebook app. Conclusion: All of the mentioned methods are helpful for you to add screen recordin videos on Facebook, and they help you to get the work done very easily. If you want to record screen for sharing on Facebook, iTube Studio will be your best choice. This program helps you to record videos with high quality. 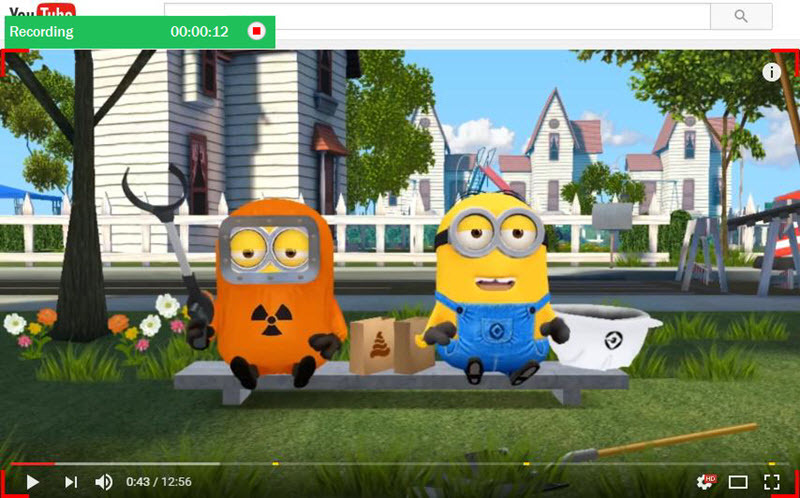 Moreover, iTube Studio is also helpful for you to download videos from the video sharing sites, so if you are interested in this program, you can free download it to have a try.